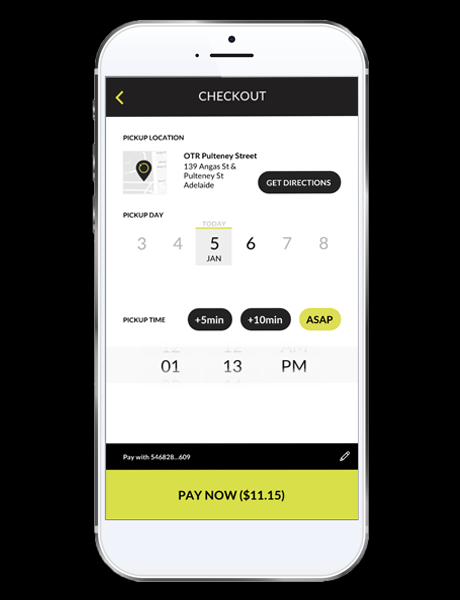 You can now pre-order from all of your favourite brands at OTR when you Click&Collect with the OTR App. 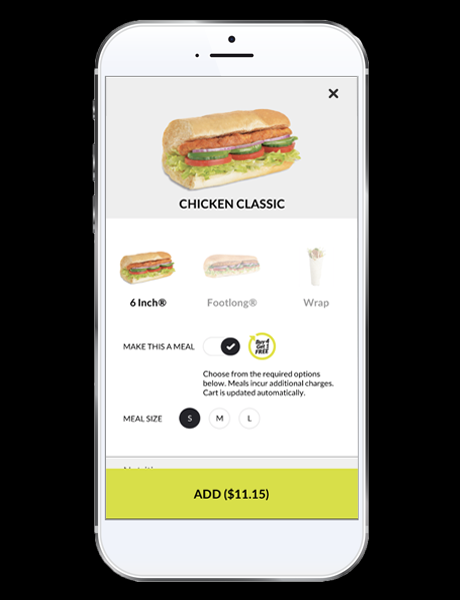 Whether you have a Subway Sub with your C Coffee every morning, or the kids can't decide between Oporto or Wokinabox for dinner tonight, you can now pre-order across all of your favourite OTR brands ready to collect at your local store. Available 24/7 - we never close! 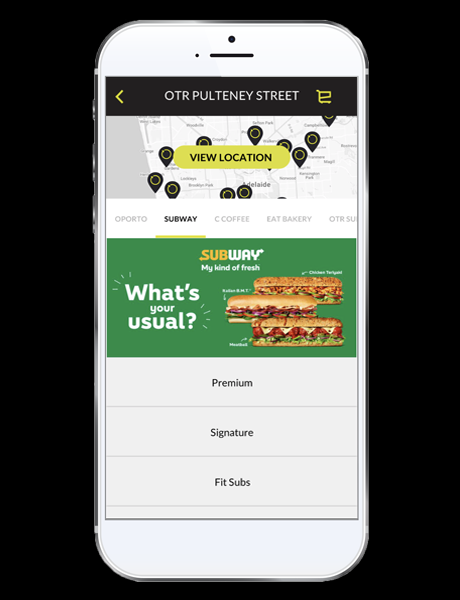 Download or update the OTR App today. Select 'Start New Order' button from the home screen, and select your store. Stores are listed by distance from your location. 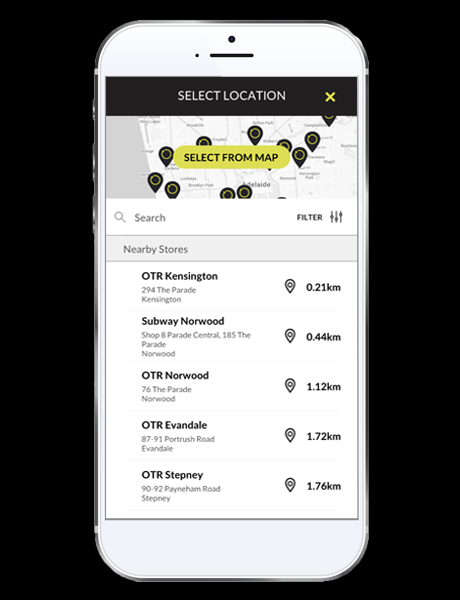 You can click on the map to browse your nearest OTR stores, search by store name, or filter by the brand you want to order from. Once you have chosen the OTR store to place a new order from, you will see the brands and menu options available. Swipe left to right at the top of the screen to see all of the brands available. Scroll down to view the menu categories available. Choose your product from the categories available. Customise your product, make it a meal, or choose to add it to your favourites. Add the item to your cart. When you view your cart, you can swipe left to remove that product or add it to your favourites. You can order any item from all of the brands available at your chosen OTR store. Checkout when you are happy with your order. To complete your order, simply select the time that you want to collect your order. Use the quick buttons to add 5 or 10 minutes to the current time, or use the scroller to select a pick up time up to 48hrs in advance.